What is special about each one of them and how do they differ? First of all, here is what's common: all G7 series will come equipped with the latest Android 9 Pie on board, all of them will support microSD cards for expandable storage, they will have a USB-C port and all of them will have the good old headphone jack on board. 720 x 1512 pixels 6.2"
720 x 1520 px 6.2"
1080 x 2270 px 6.24"
The Moto G6 Play was one of the phones with the longest-lasting battery in 2018 in our testing, scoring nearly 12 hours on our screen test, while most flagships average around 9 hours, and it was a two-day experience for most people. 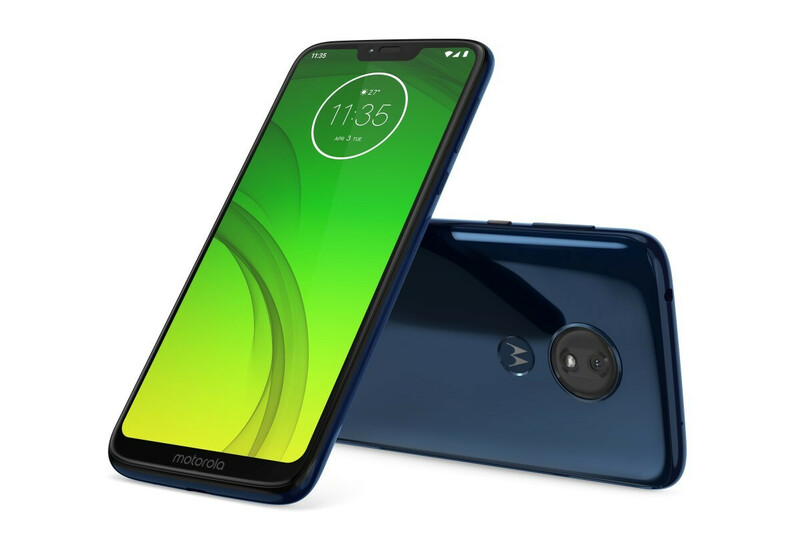 This year, however, Moto stirs things up as it has a different model, the G7 Power, that will focus on battery longevity, while the Moto G7 Play is expected to be all about that affordable price. What this means is that unlike last year's G6 Play, the G7 Play will actually have a smaller battery: the size will go down from 4,000mAh on the last year's model to a 3,000mAh battery in the G7 Play. The Play model will also have a big notch styled like the one on iPhones and a 5.7-inch HD screen, plus it will be powered by the Snapdragon 632 chip paired with only 2GB of RAM on board. The low amount of RAM might be the biggest concern here, but it's all about achieving a very low price tag, so for some users this might be a worthy trade-off. The price of the Play version is set at just $200 and it will launch unlocked in the US this spring. Shortly after the initial launch, the phone will arrive on Boost Mobile, Virgin Mobile, U.S. Cellular, Republic Wireless and Ting. 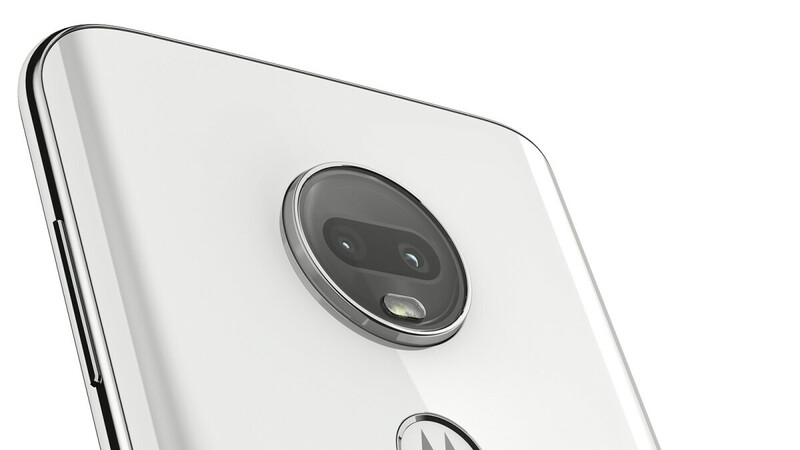 Part of the reason why the Moto G7 Play is expected to have a rather small battery might be in this phone: the Moto G7 Power, where the "power" part refers to a gigantic, 5,000mAh battery cell, but not so much to the actual performance. This phone is just a bit more capable than the G7 Play: the list of specs still includes the Snapdragon 632 chip, but here it's coupled with a more reasonable 3GB of RAM. Again, you have a big notch here and an HD resolution screen, but a slightly bigger one at 6.2 inches, while under the hood, you the storage is the same 32GB with support for microSD cards. The G7 Power price is set at $250 and the phone will be available unlocked in the United States starting this spring. 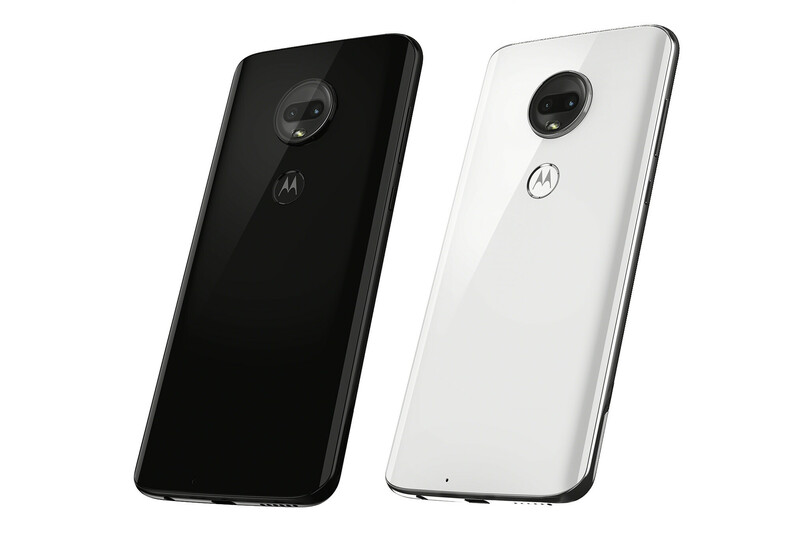 Shortly after initial availability, it will also arrive on carriers, including T-Mobile, Metro by T-Mobile, Verizon Wireless, Cricket Wireless (as the moto g7supra), Consumer Cellular, Republic Wireless, Ting and Xfinity Mobile. The Moto G7 is the true star of this lineup and the phone that will be available in most countries. It is also the model that most users will likely be drawn to because it offers the best balance of price to performance in the series. First of all, it does not have a big notch like the two cheaper models and instead features a more elegant, teardrop-shaped notch, it has a Full HD resolution screen that will be sharper than the former two models, and it comes with a very reasonable 4 gigs of RAM on board. The G7 will also have double the on-board storage compare to the previous two models, starting with 64GB of preloaded storage. It will also sport a microSD card slot for memory expansion. This phone will also feature a dual rear camera setup with a main 12-megapixel shooter and an additional 5-megapixel depth camera that will allow for better portrait mode shots and improved overall image quality. And what about the price? The G7 starting price will be $300 in the United States and the phone will arrive this spring unlocked first at Best Buy, B&H Photo, Walmart and Amazon. Later on, the G7 will also be launched on Google Fi, Republic Wireless and Ting. International customers will be able to buy the G7 even earlier as the phone is launching in Brazil and Mexico today, coming to Europe in mid-February and to the rest of the world in March. 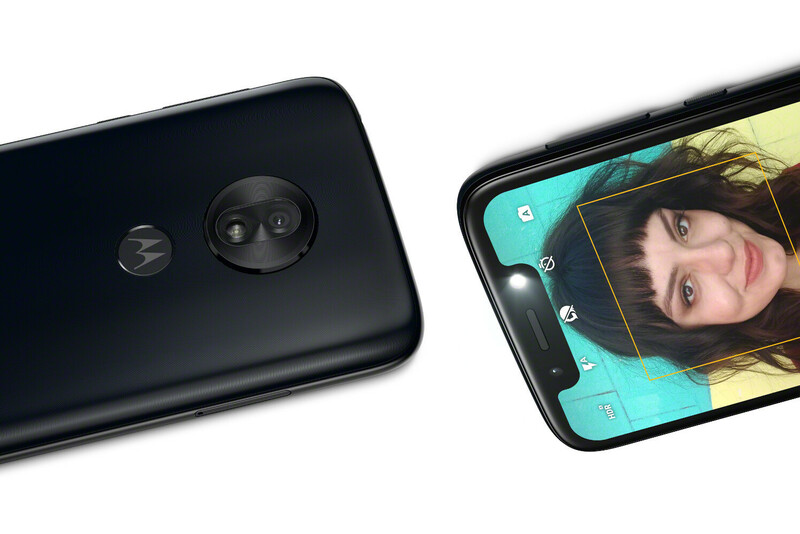 The Moto G7 Plus is expected to be the most powerful of the new G7 series, but strangely, it will not be sold in the United States, at least initially. 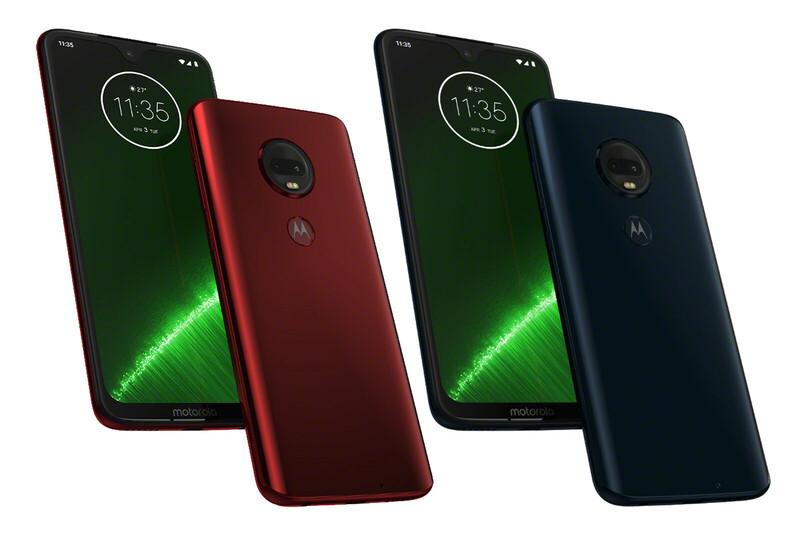 Design-wise, it looks nearly identical to the regular Moto G7, mostly except for the different color choices as you have a very lush "viva red" model and quite the mesmerizing "deep indigo" color. The big difference under the hood will be the Snapdragon 636 processor, as the G7 Plus will be the only one in the series to feature this faster processor. Similarly to the G7, the Plus version will also have a dual rear camera setup with a secondary depth camera for portraits, but a slightly higher resolution for the main camera. The other extra feature that the Plus model will have is 27-watt fast charging that will give you 12 hours of power with just 15 minutes of charge. This will also be the most expensive phone in the series with a price of 300 euro in Europe and across the globe. 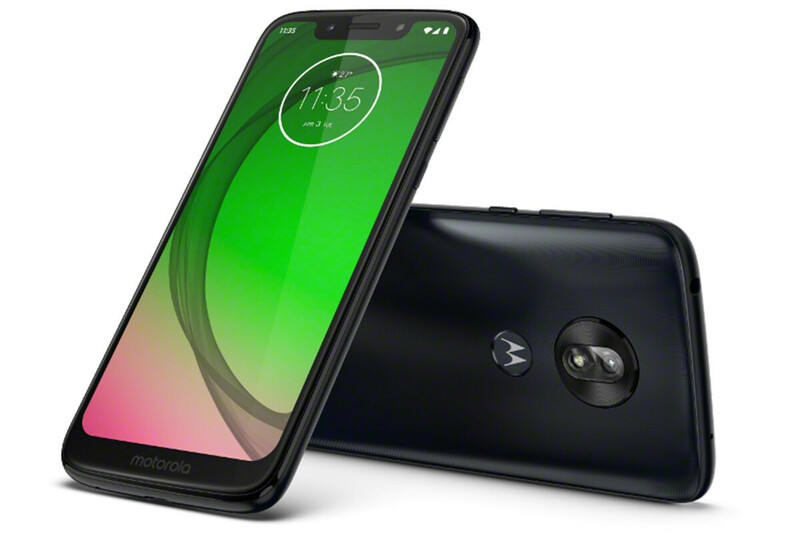 There are so many new Moto G7 phones because Motorola really wants to hit different prices so that even those who can only afford to spend $200 can still get a phone from the G7 series. The surprising thing is that the most powerful of the family, the Moto G7 Plus, will actually not be sold in the United States, at least initially. This makes the Moto G7 the best choice for those looking to upgrade to a new affordable phone with a great price to performance ratio. 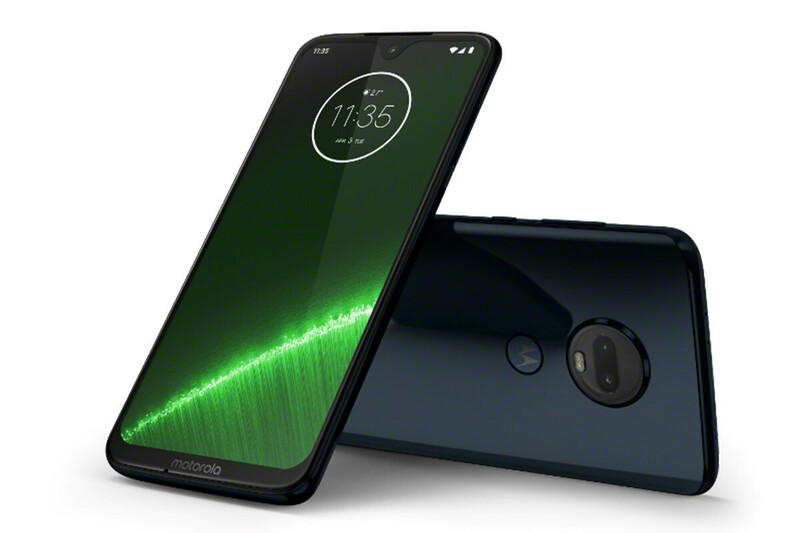 The Moto G7 has 4K video, a Full HD screen, a dual camera capable of taking portraits and fast charging on board. 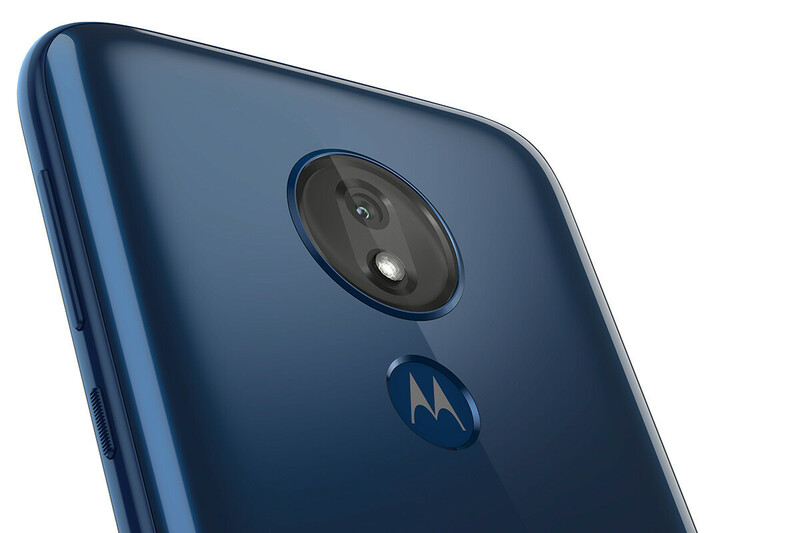 The Moto G7 Power makes a few compromises with the storage, camera and display specs, but provides very long battery life, while the base Moto G7 Play model is the cheapest one and has only 2GB of RAM that could slow it down in multitasking. Sorry, but to me waterdrop designs are even uglier than the notch designs. Unfortunate choice for the G7, especially with that deep water-drop. A semicircular mini-notch like the upcoming Huawei P30 would have been much better. Couldn't disagree more. The S10's punch-hole design is the worst followed closely by large, chunky notches. The teardrop is a necessary and acceptable compromise for those who want the screen pushed to the edges (which I don't even find absolutely necessary). My S8+ screen is perfectly fine with regards to bezels. For the price, the G7 seems like a decent value. 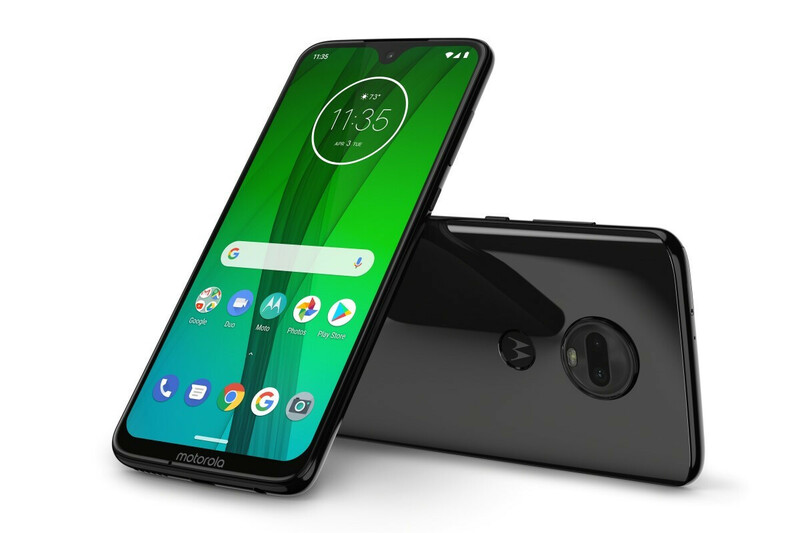 The teardrop Moto G7 looks like Eddie Munster. Let's not forget that this phone costs $300, maybe we should be a bit more forgiving, but the more I think about it, you can get a Snapdragon 845-powered Pocophone F1 for $50 more.. There are plenty of alternatives in the 200-300$ price range with much better specs. Moto is charging a premium...for what... that is anyone's guess !?! A better experience, at least in my opinion. A good experience is the one where stock android is coupled with timely OS upgrades and security patches. Moto does not do any of these. Those truly looking for a fantastic software experience should turn to HMD/Nokia in my opinion. They are doing a fabulous job of keeping their phones up-to-date and their cameras are better than tthe G series too. Im Sorry but the G7 is way to big, the G series has always been for the masses at a reasonable price but great camera, the screen size should be 5.8" maximum. With the waterdrop, the g7 may not be much bigger than the g6. But a side by side comparison will definitely be needed. Something like a galaxy s8 (6.2 screen) would be way too big for a basic g7 model. Everyone of those is $50 away from real consideration. Moto won't be getting my money. Hopefully, other OEM's will fill this giant hole in the value segment ($200) in the US. Nokia's 6.2 will likely have a better design and better updates with the same processor (which is a bummer). Sony's XA3 and 3 ultra really look like the best upcoming offering (SD636 or 660). But they'll be even more expensive. No word on the zenfone 6q (or whatever they're gonna call it). If the Honor 8x never makes it to the US, I WILL buy a Moto g7, but from a guy on Swappa. Too pricey for the specs.. I'd rather choose a near-stock Android than some bloated Chinese software. Moto One Power was launched nearly an year back (under Android One program). There has been zero improvement from that device to these. Infact, its a downgrade ! Atleast the G7 Plus should have got a SD 710. G7 a SD sd 660 or 636 and all of them should have had a FullHD display. Even if it was conventional 16:9. Also, stock Android is just a marketing gimmick in case of moto g series. Pick any moto G device and look at its security patch version. Moto G6 just recently got Android a couple of months back. At the least , all Moto G's should have been Android One. They having near stock interface yet not bothering to update their devices for long periods of time just shows how lazy they are. Xiaomi Mi A2 is part of Android One (clean stock android), so it has zero bloat. I trust Motorola than any other Android OEM out there. My Moto X4 got the Android Pie last year while other phones are still stock with Oreo. Sorry, no bloated Chinese OEMs for me.